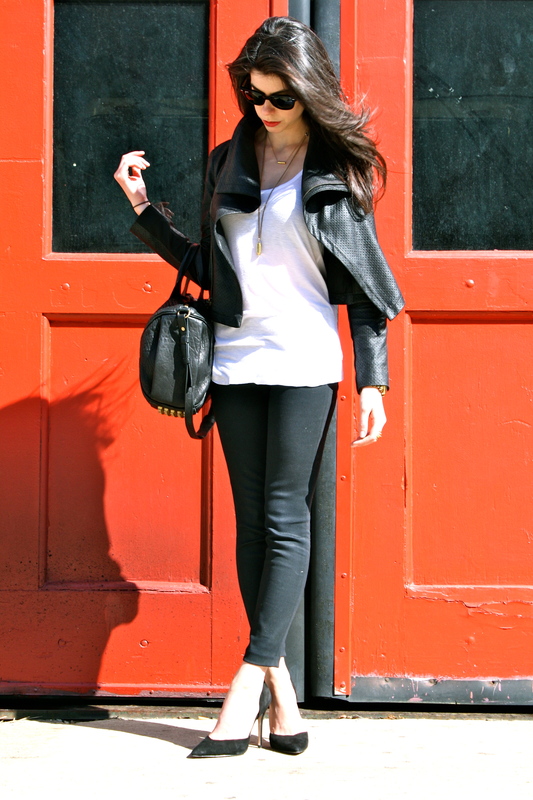 I know I have already featured black and white for spring, but I seriously can’t get enough! Black and white is classic while also being fashion forward, making it timeless. I also love this trend, because anyone can rock it and the components are already in your closet. I love me some color, but black and white is currently my uniform (this also might have something to do with the painfully frigid weather). Black and white is so fabulous because you can take it in many different directions, it can be graphic, you can mix prints, you can color block, go fancy or casual, which is exactly what I am doing in today’s post. So embrace my uniform and get ready for spring. 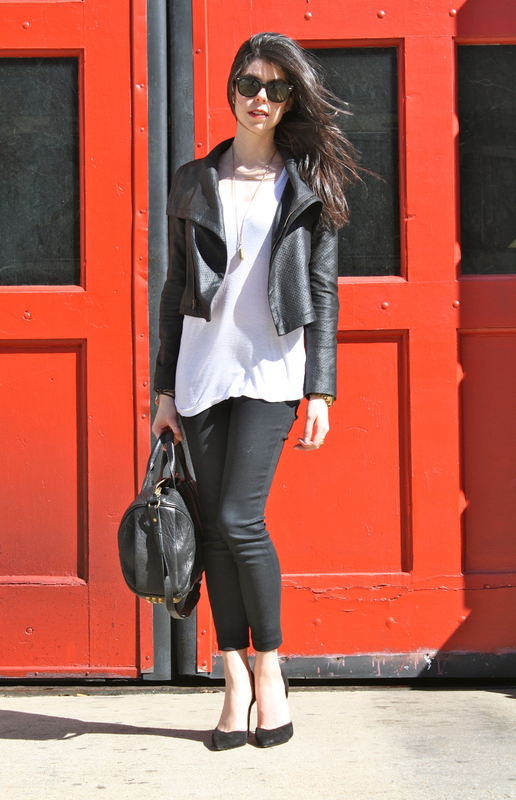 This perforated leather jacket is my latest obsession for spring!